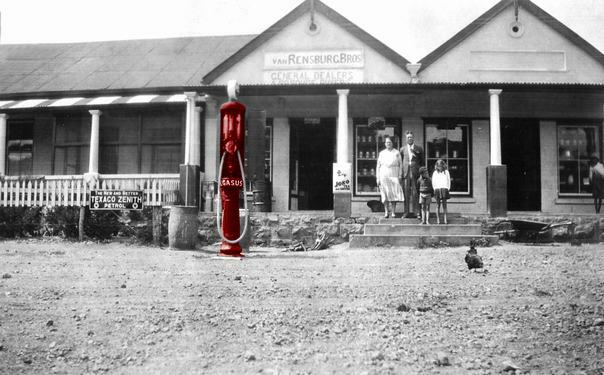 The history of Riebeeck East is largely that of the church. The 1820 British Settlers sent to colonize the area and to act as abuffer between the new colonies in the west and the xhosa tribes in the east which led to an "anglicizing" of the area. 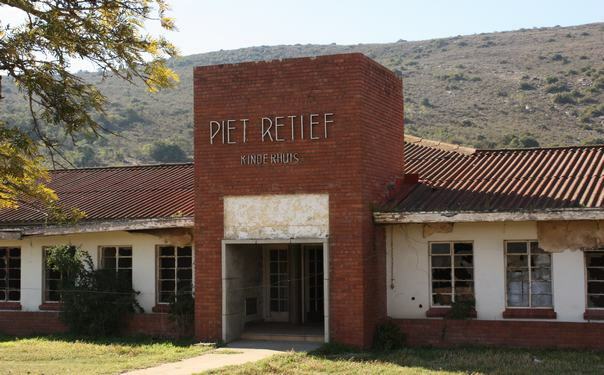 However the independant Afrikaner farmers remained loyal to the Dutch Reformed Church and had to travel to Graaf-Rienet and Uitenhage to attend church services. In 1826 the Afrikaans speaking community of farmers in the Albany District petitioned the church but this was declined on the basis that the English church in Grahamstown should be used by the Dutchy congregation in the same way that the Dutch church in Cape Town is used by the English. One of those signatories to this petition was Piet Retief, one of the leaders on the Great Trek. In 1830 another petition for the appointment ofc elders and deacons was successful and the magistrate of Albany appointed a church council consisting of two elders and four deacons.he induction took place on 9th January 1831. The first visiting preacher was Dr George Morgan who presided at the first church gathering on 7th May 1831 on the farm Driefontein. In 1841 the church was able to appoint its own permanent minister Dr John Pears who was inducted in St Georges Church Grahamstown and lived in Grahamstown. 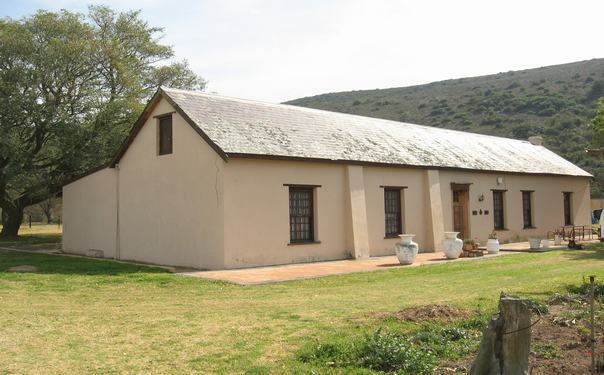 Pears persueded the church council to buy a prtion of the farm Mooimeisiesfontein. 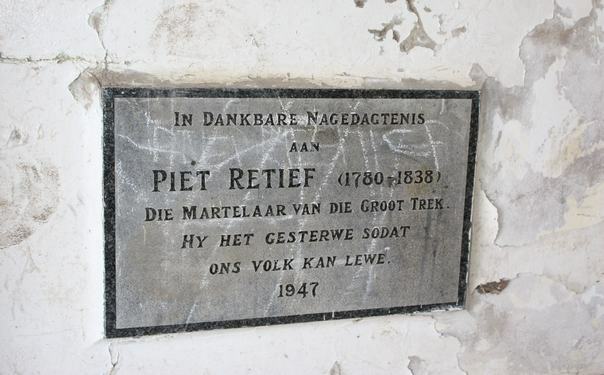 retief had sold a portionj of Mooimeisies 1574 to Dirk Willem Van Rooyen. The church purchased 1275 hectares from M. J. van Rooyen and to pay for this they subdived the property so they could sell of the indivdual lots which led to the formation of the village of Riebeeck..